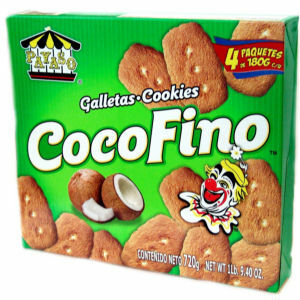 Payaso Coco Fino cookies have the most exquisite coconut taste because they're made with the best ingredients. Excellent to serve with coffee, tea or milk. Try our entire family of Payaso quality cookies, crackers and biscuits. Enjoy!